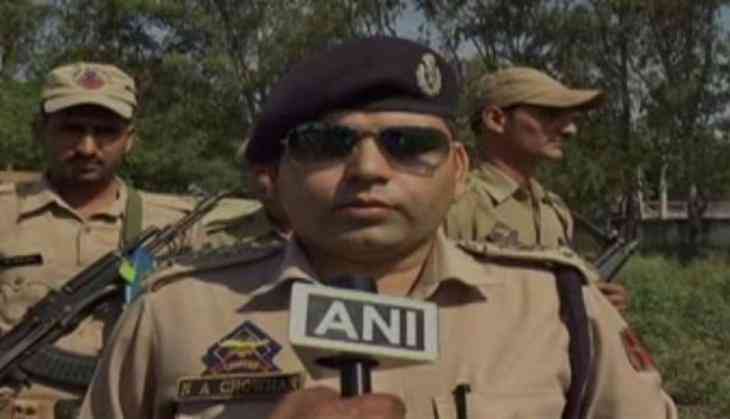 After the Pakistan Army initiated indiscriminated firing of small arms, automatics and mortars this morning along the Line of Control (LoC) in Jammu and Kashmir's Krishna Ghati sector, Sub-Divisional Police Officer (SDPO) from Naushera Nawaz Chouhan said all precautionary measures have been taken. "Ceasefire violation has taken place in our armed sector with heavy and small arms and it is still on. The roads have been blocked and all precautionary measures have been taken. There is tight security in the district," Chouhan told ANI. The Pakistan Army had initiated indiscriminate firing of small arms, automatics and mortars along the Line of Control (LoC) in Jammu and Kashmir's Krishna Ghati sector. The Indian Army posts are retaliating strongly and effectively. Earlier on Sunday, the Pakistan Army violated ceasefire in Jammu and Kashmir's Naushera sector. This came after the Pakistan Army earlier in the day initiated indiscriminate firing of small arms, automatics and mortars in Naushera along the Line of Control (LoC). Pakistan initiated the indiscriminate firing at around 12:40 p.m. The Pakistan Rangers had, earlier in the day, violated unprovoked ceasefire on forward Border Security Force (BSF) troops in Jammu and Kashmir's Ramgarh sector at 10.45 a.m.